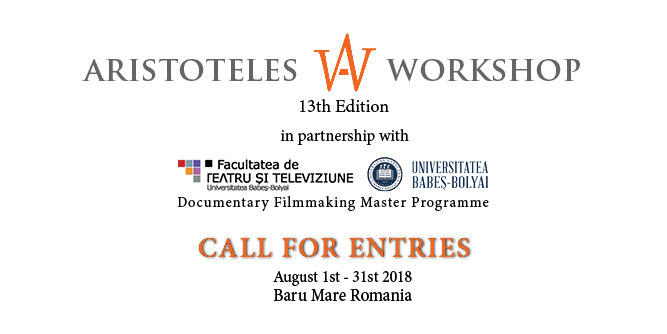 A new generation of creative documentary filmmakers and artists heads to ARISTOTELES WORKSHOP every year for a 5-week filmmaking boot camp experience. Artistic characters ensue, since 2006. Their output landed and won on the festival circuit: Quinzaine des Realisateurs at the Cannes Film Festival, Locarno International Film Festival, Dok Leipzig, Vision du Reel, International Documentary Festival Amsterdam or Tampere International Film Festival 2017.
ready for one of the most intense learning experiences you’ll ever have. be on the festival circuit, if your film rises to the challenge. submit your form online and receive detailed instructions to complete application in your inbox. more information on the workshop online at www.aworkshop.org.